We didn’t use a TARDIS, a wormhole, or cryogenically freeze ourselves, but io9 has managed to transport itself from 2008 to 2018 in the most arduous way possible—living through it. The site has managed to exist for 10 full years, no small feat on the internet. 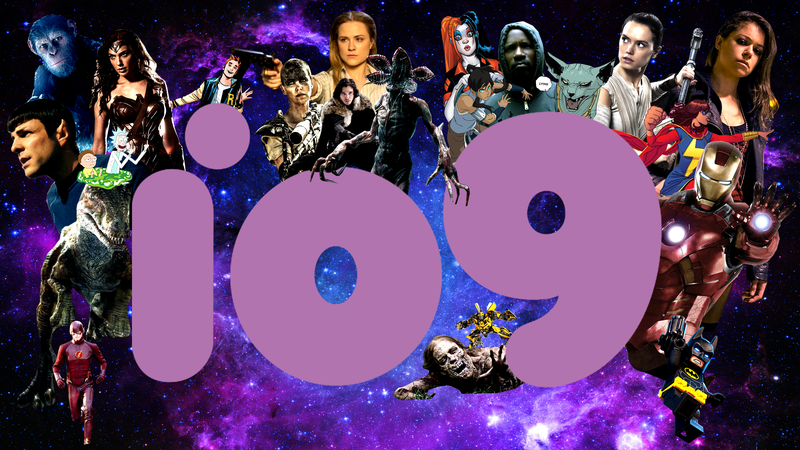 It helped, of course, that the site was founded by authors, journalists, editors, and general badasses Annalee Newitz and Charlie Jane Anders, who made io9 a phenomenal, indispensable site about science fiction and the future from day one. Now, I have only worked here for a touch more than half the site’s existence, so I can’t speak to those early years. Annalee can, and has—back in 2013, during our fifth anniversary—so definitely go read that. But I do know io9 has survived a lot. Absorption into Gizmodo. The traumatic Kinja Migration. A podcast and a YouTube series. The loss of fearless leader Annalee, and Charlie Jane a year later. Five Michael Bay Transformers movies. Did I mention Kinja? Despite being from the future, the next two weeks are gonna be all about the past—not just looking back on the first 10 years of io9, but on the last 10 years of science fiction, fantasy, and pop culture, because man, it has been a hell of a decade. When io9 became a fully armed and operational website in January of 2008, the Marvel Cinematic Universe hadn’t even begun. Game of Thrones and The Walking Dead existed, but weren’t yet global phenomena. Disney didn’t own everything, either. So expect a lot of nostalgia over the next two weeks, along with some light horn-tooting, and a few surprises as well. I hope you enjoy it—and that you’ll stick around for the next 10 years, too. After 2028, though, you’re off the hook.